I would recommend him to others. He did a really good job. They were very upfront and straightforward about their recommendations, and because of it, things turned out really well. They are prompt at returning phone calls as well as setting up appointments. His work crew is knowledgeable. The only thing was that they leave their tools behind. His services, and he returns my calls in a timely manor. He is honest if he is busy. He will give you a time frame. You don't have to guess if he will call back or not. He is honest, not the cheapest, but he is the best value. 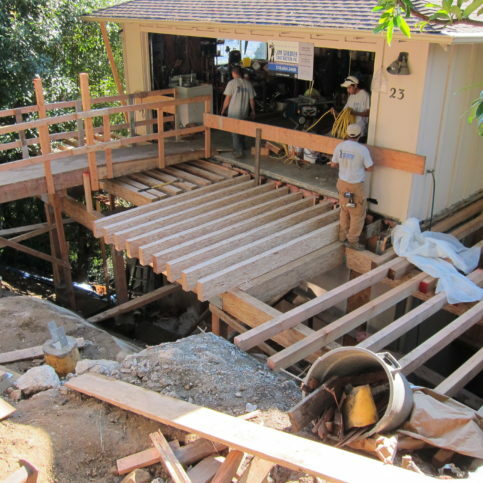 Jim Gardner Construction Inc. provides structural repair services for residential clients in parts of Alameda County. 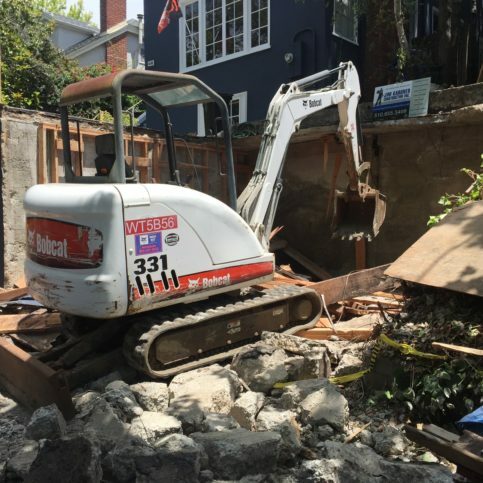 The family-owned and operated company has the training and equipment to handle everything from drainage system repairs and basement digouts to foundation replacement and seismic retrofitting projects, and its in-house design capabilities allow it to effectively manage each job from start to finish. DIAMOND CERTIFIED RESEARCHED CAPABILITIES ON Jim Gardner Construction Inc.
Company Name: Jim Gardner Construction Inc.
DIAMOND CERTIFIED RESEARCHED ARTICLES ON Jim Gardner Construction Inc.
Jim Gardner Construction has been providing structural repair services for residential clients in parts of Alameda County since 1983. In addition to handling everything from drainage system repairs and basement digouts to foundation replacement and seismic retrofitting projects, the family-owned and operated company utilizes its design capabilities to effectively manage each phase of its clients’ projects in-house. When it comes to fixing your home’s structural issues, it’s important to work with a specialist. Doors that won’t close correctly, cracks in ceilings, pooling water outside of the home…these are warning signs that shouldn’t be ignored. 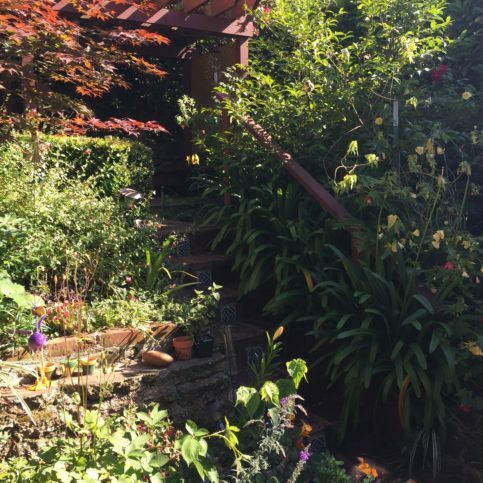 In fact, according to Jim Gardner, owner of Jim Gardner Construction Inc. in Oakland, they could signal serious problems with your home’s foundation, structural supports or drainage system. What’s more, they’ll only get worse (and more expensive to fix) over time. So, who can you call to look into the cause and fix the problem? A: It depends on the type of project. 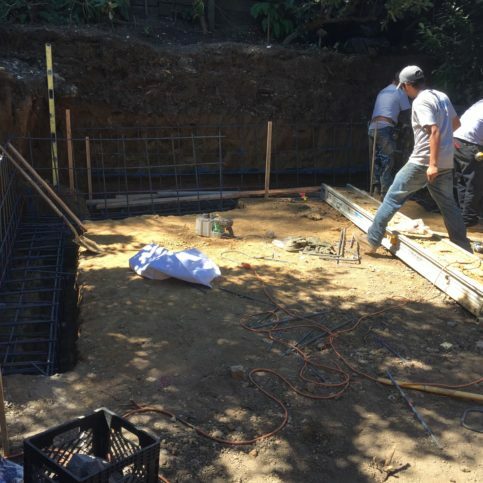 We work fairly quickly—the average foundation project takes about a month and most drainage jobs take two to three weeks. Larger jobs like basement digouts can take two to three months, but we rarely have projects that take longer than that because we staff our jobs effectively. Q: How many people will work on my project? A: Structural projects usually have four to six people working on them. Q: How much will it cost to complete my project? A: Cost primarily depends on the nature of the job and whether we’re able to complete the work as optimally as possible. There are cheaper ways of doing things, but our goal is to come up with the correct solutions and do each job properly. We never suggest solutions based purely on money. If there’s a reasonable alternative that’s more cost-effective, we might consider it, but we always base our work on what will provide the best solutions. Q: How involved is the company owner in daily projects? A: Our owner, Jim Gardner, monitors most of our work. We also have a project manager and a foreman on each job. Everyone communicates to ensure the project goes smoothly, so you’ll always have someone to talk to. Q: Why am I noticing cracks, doors that don’t work, or water pooling in or around my home? A: These kinds of issues are reflections of what’s going on underneath your house—specifically, the crawl space, basement and drainage ditch. 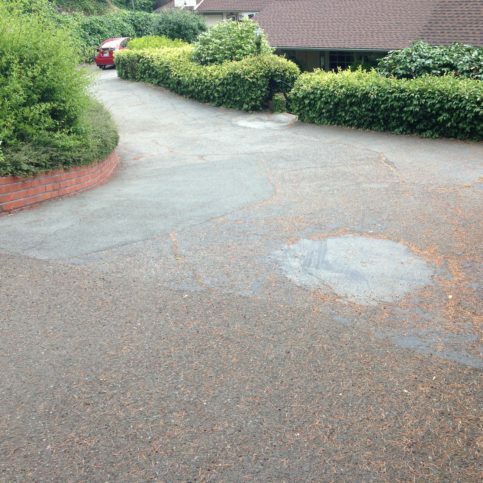 We look at structural elements like drainage, foundations, retrofitting, slabs, concrete, posts and piers. We consider how all of those things fit together and determine how they might be causing the problems you’re noticing. 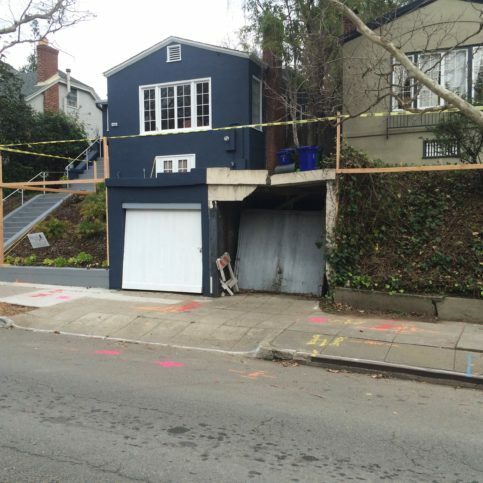 Q: Why should I hire you instead of a general contractor for structural repairs? A: Our structural repair specialty is unique. Most of the work we do gets handled by general contractors who don’t do this kind of work on a daily basis. If your project is primarily structural, you need to deal with specialists who have an in-depth understanding of engineering and are able to give you the entire picture. Q: Why should I repair structural problems now instead of later? A: Structural problems tend to get worse as homes get older. We also believe climate change is accelerating structural problems. Higher amounts of rainfall and large amounts of rain in shorter periods of time are accelerating drainage problems, and drainage- and structure-related issues are becoming bigger problems for homeowners. We’re able to look at these types of issues and find solutions that help our clients now and in the future, including rigorous drainage systems that won’t get overwhelmed by large amounts of rainfall. 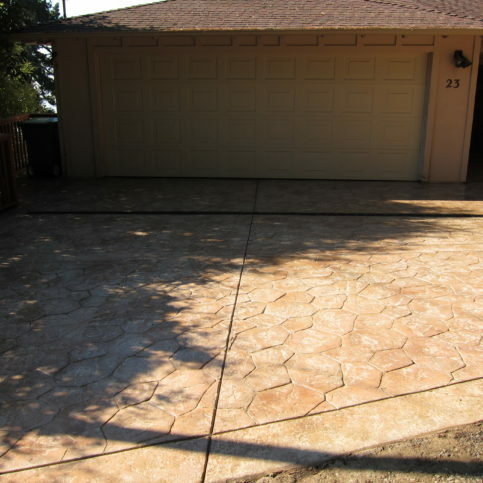 SELECTED PHOTOS FROM Jim Gardner Construction Inc.
Jim Gardner Construction replaced these failing single-car garages with two double garages. The 2x4s show the outlines of the new project. A Jim Gardner Construction technician uses an excavator on a demolition project. Jim Gardner Construction placed temporary shoring on the backside of this structure to support the soil during the construction process. 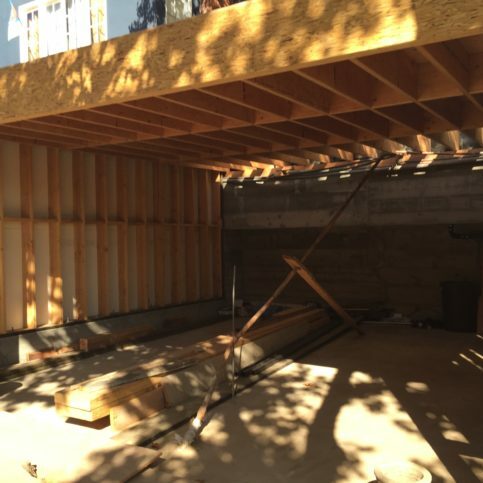 Jim Gardner Construction technicians install the back walls and prepare the mat slab for a garage/deck project. 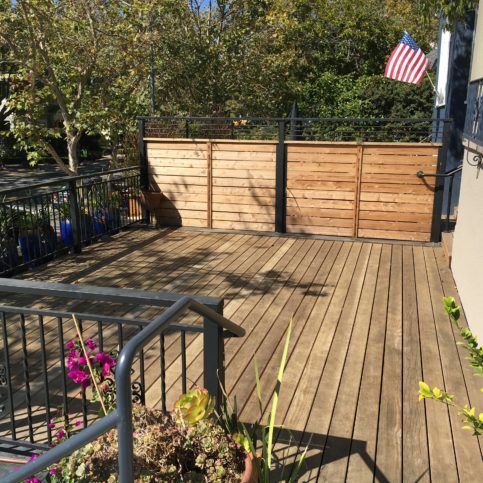 Jim Gardner Construction installed this deck above a client’s garage. The fence is the dividing wall between the two sections. 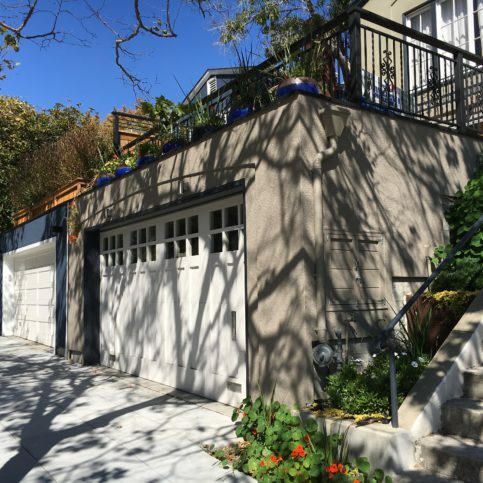 Jim Gardner Construction installed stucco on this garage. 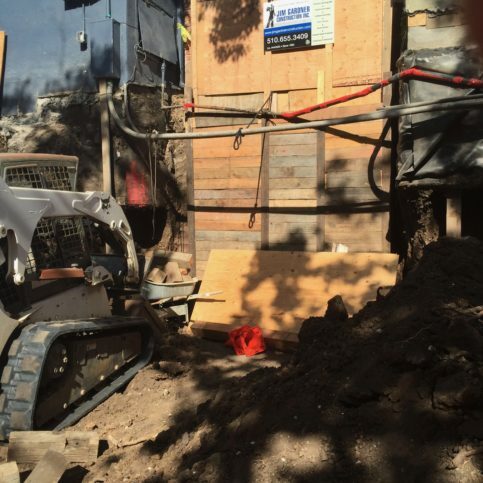 Jim Gardner Construction cleared and dug out this location to fit a new retaining wall and patio. 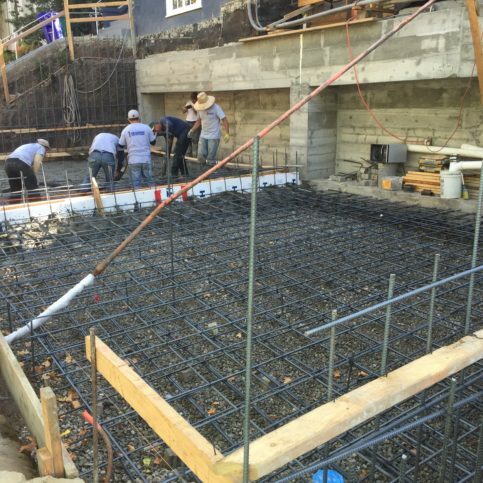 Jim Gardner Construction excavated this space and placed rebar for the footings to a new wall. 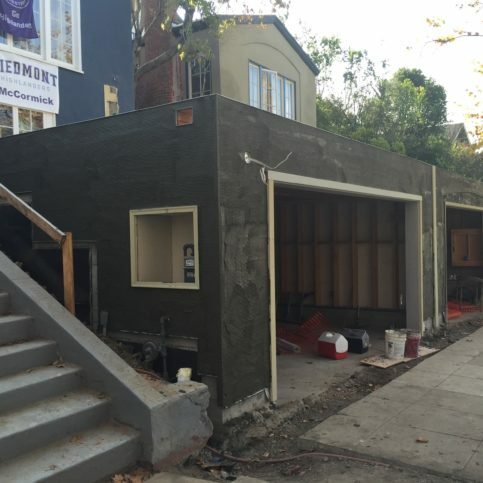 Jim Gardner Construction poured new walls on this construction project. 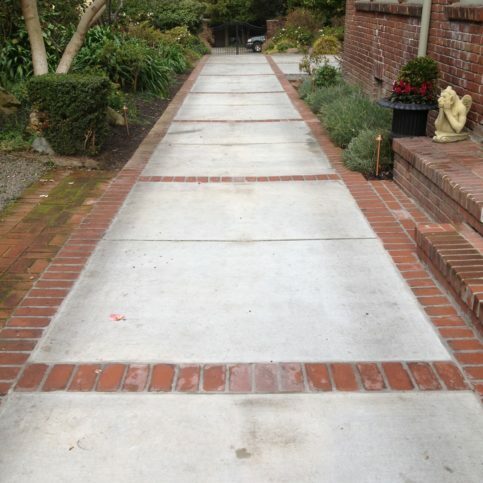 Jim Gardner Construction installed this concrete bridge over a client’s driveway. 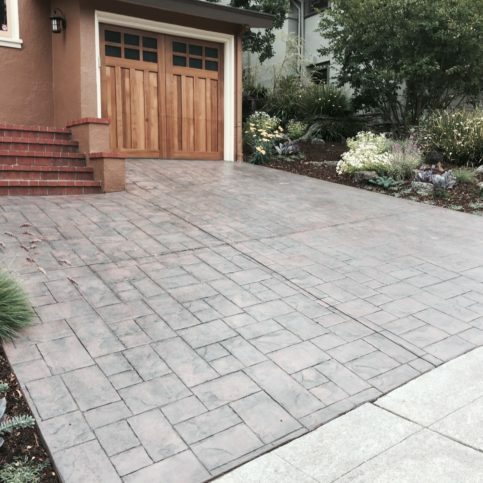 Jim Gardner Construction was tasked with revamping this old asphalt driveway. 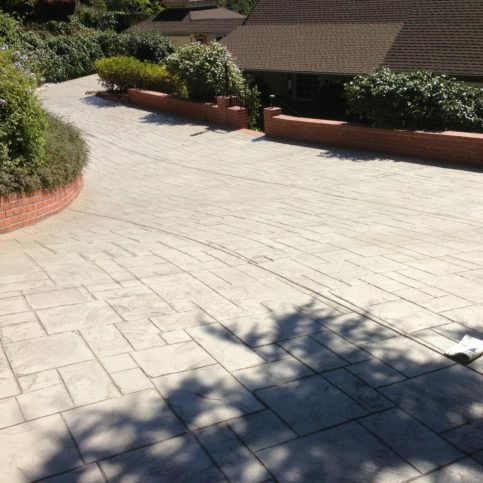 Jim Gardner Construction installed this new stamped concrete driveway. 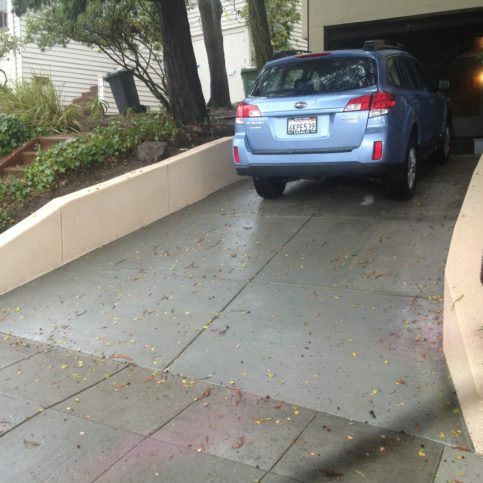 Jim Gardner Construction installed retaining walls on this driveway. 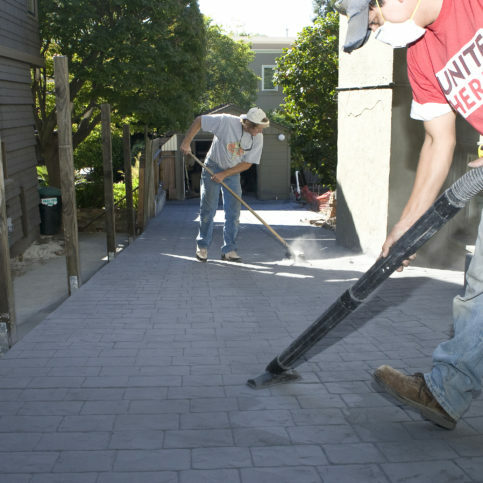 Two Jim Gardner Construction technicians work on a stamped concrete project. 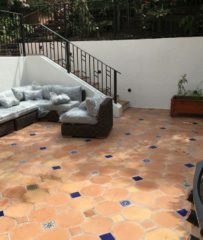 Jim Gardner Construction installed this standard concrete with a brick border. Jim Gardner is owner of Jim Gardner Construction Inc., a Diamond Certified company. He can be reached at (510) 254-5887 or by email. A: As a teenager, I had a summer job at the NASA Jet Propulsion Lab in Pasadena. I did model building for some of the space probes they were working on. It felt pretty cool having security clearance to get into a NASA facility. A: It’s funny, I’m kind of both. I used to be a cat person, but then we got a dog, so it’s hard for me to choose now. A: Scott’s Seafood Grill & Bar in Oakland. A: I collect rocks and tools. Q: If you could go anywhere on vacation, where would you go? A: Either Tahiti or Fiji—basically, somewhere that has a beach and is far away. Diamond Certified Expert Contributor, Jim Gardner: So, I have a few tips for you about drainage. The primary source of drainage problems at your home, is the water coming from your roof which channels through your downspouts. A lot of older homes especially, have no connections to their downspouts, i.e. : they’re draining directly adjacent to the building. Those downspouts need to be connected to some form of piping that collects the water and gets it away from your house. Either plastic corrugated piping which brings water away from your building or permanent underground drainage lines that take the water to your yard or to the street. This is extremely important because lack of proper surface drainage leads to foundation settlement issues and other problems within your home. The second thing to think about is that there are two different types of drainage: surface drainage and subterranean drainage. Subterranean drainage is water that gets underneath your foundation and often comes up through basement floors, basement walls and areas underneath your house. This type of drainage needs to be controlled with French drains. 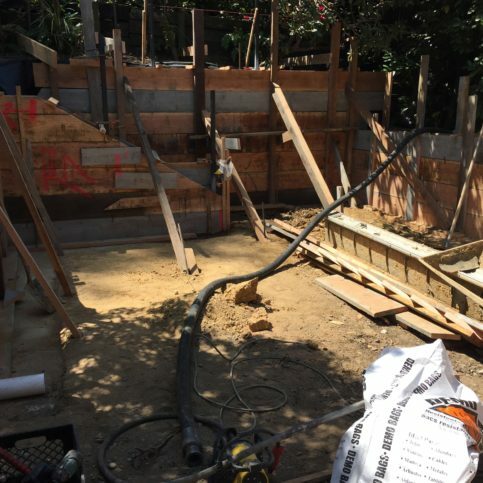 French drains need to be dug below the lowest point of your water problems, and that water needs to be collected in a separate piping system from the downspout drainage which we talked about earlier. When you can collect both sources of water and get them away from your building, you can develop a comprehensive drainage system that will help you for the long term. Diamond Certified RATINGS ON Jim Gardner Construction Inc.
Jim Gardner Construction Inc. : Average 9.4 out of 10 based on 66 unique customer surveys of customer satisfaction. They were great. The guys that came out to do the work were really good. They do excellent work. It's not cheap, but it's excellent. They have a terrific crew. They have a really good crew that is very competent. He was really honest. I got him as a recommendation from a real estate agent. He was upfront, very friendly, and the team was really good. He is reliable and trustworthy, very upfront about everything. He was also very personable, the kind of person you like having around. I don't know what to say. They did a great job. Like I have written in two different review sites, you would be crazy to hire anyone else. He was honest and direct with everything he was doing. He replaced the entire foundation. I felt he was honest and that is the service I received as well. Trustworthy, professional, and he did a great job. He communicated about what they were doing, and he did some extra things. They were excellent, on time, and clean. I would say to talk with him in person not via email. He was prompt, he followed through, and he went the extra mile to make things right. He is very professional and will make sure the job gets done. There was a problem that at first seemed like a simple fix. It turned out to be much more, and he just included it in the job for me. High quality work, very responsive, and very easy to work with, I loved working with them. Very honest, he told me what the range would be, and we negotiated. Whenever I had questions, he got right back to me. His workers were great. I got compliments from my neighbors on how it looks. I can't say enough good things about him. Very efficient, they did what they needed to do, and they knew what they were doing. He explained everything including the cost. 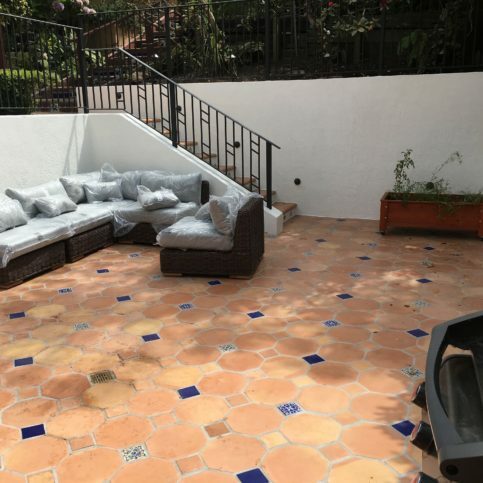 He did one major French drain, which went down 12 feet. We haven't had water in our basement since. He was not the least expensive, but we needed a good quality job, and he did it. He is very good at documenting everything from what needed to be done all the way through. Straightforward and to the point, they were on budget and on time. I don't know. They addressed all of my questions. They laid out a verbal commitment, and they were all met according to plan. They were reliable. He is super responsive. They do work that I don't understand, and he is really good at explaining it. The high quality of his work, we have never had any issues. They were clean and on target with the estimated time to get the project done. They were knowledgeable and experienced. They did what they said they would do in the time frame they said they would. I trust them with difficult technical jobs. Their level of expertise, they know what they are doing. They are easy to deal with and very flexible.